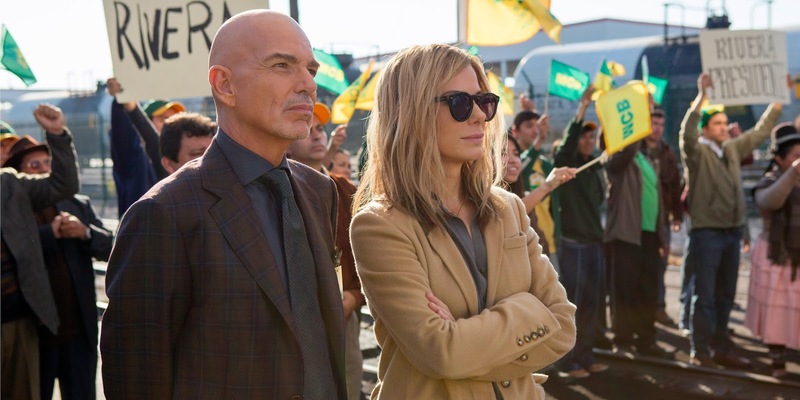 Our Brand Is Crisis is the latest movie in the wildly uneven career of David Gordon Green. In a filmography that includes the abominable Your Highness, it is with some dissatisfaction I must report this is amongst his worst. This is the tale of political strategist "Calamity" Jane Bodine (Bullock) and her assignment to manage the campaign of a rank outsider in the Bolivian presidential contest. Still suffering the aftershock of a career-threatening personal scandal, Bodine finds herself out of her element, our of control and up against her silver-tongued arch-rival Pat Candy (Billy Bob Thornton) who is master-minding the campaign of an alternate candidate. On paper, the premise is a good one yet, sadly, the movie transpires to be neither a satire or drama, comedy or character study; Our Brand Is Crisis simply consists of a set of grating scenes that just happen to happen before sizzling out to an unsatisfying ending. Whilst the editing allows for Green's film to zip along with the rhythm and pizzazz of a break-neck comedy, the movie ultimately suffers from the fact that nobody says, or does, anything approaching vaguely amusing. Bodine, for example, is sick off-camera for light comic relief. To put it bluntly, Our Brand Is Crisis is an early contender for the biggest stinker of 2016 and really should set alarm bells ringing at Warner Bros. Bodine cloyingly states near the start of the film: "No one watches a car race to see who wins, they watch car races to see who wrecks." Whilst it is human nature to look into the grim wreckage of automobile accidents, this is a car crash I'd advise everyone to ignore.